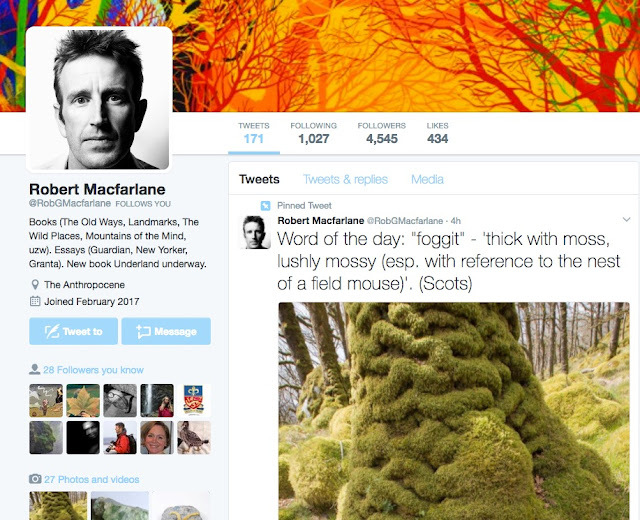 Robert MacFarlane's work and influence has featured here many times. He joined Twitter in February 2017, and already has over 4500 followers. Follow Robert for landscape words and images and related news.